We are happy to offer you these modern, colorful and fun garden stakes (set of 3). Includes Ant/Butterfly/Birdy (one of each). 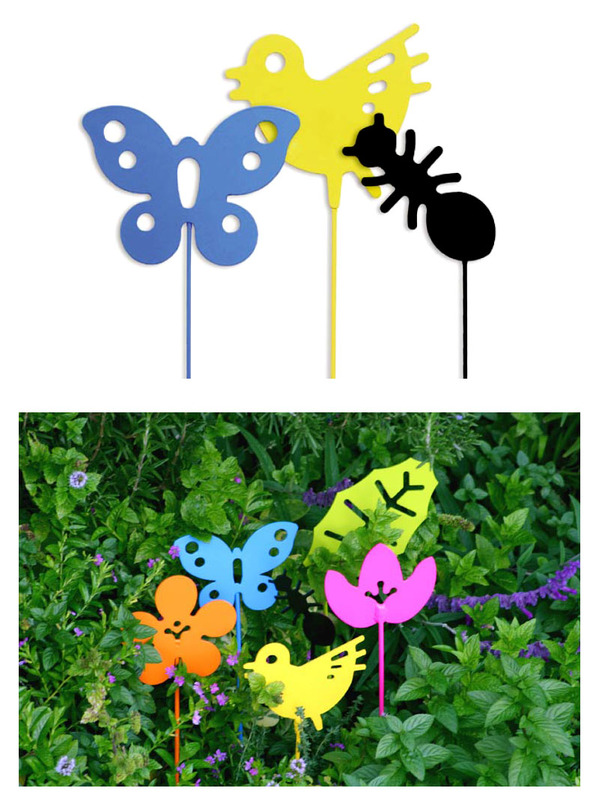 Bright candy-colored animals make these durable steel garden stakes eye catching in your garden. They will put a smile on your face every time you see the bright colors (even in winter) or when you come upon the black ant that hides amongst the fauna. Perfect for any garden but also a window box or container garden. Presented in gift box. Great gift idea! In stock, usually ships in 2-6 business days.